First step – Appliances: From citrus juicers to food processors to our microwaves and ovens, we tend to crowd our kitchens with gadgets and most of these are not always required for day-to-day use. Make simple stands for gadgets like ovens and microwaves to move them off your kitchen slab, and put away the rest into cupboards to take out when needed. Check your walls: We often find that how much ever space we plan for in our kitchen slab, somewhere along the way it becomes a storehouse for all our pots and pans and cleaning apparatus as well. 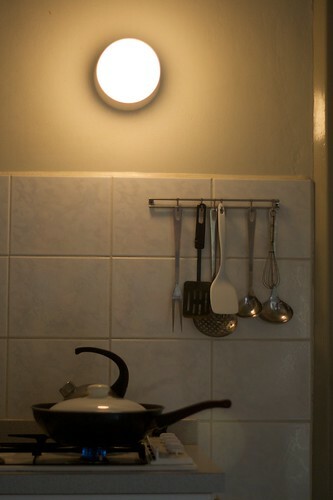 The simplest way to tackle this would be to put up rods and hooks or a similar arrangement on the free wall space so that many of our pans and spoons can be hung up and free up our space. Use the ceiling space too: If you are lucky enough to have space for a kitchen island type of arrangement, then make sure to use the space above it for hanging your pans and other odds and ends too. This kind of frame can easily be made with DIY, or even scrounging the old furniture shops for a similar arrangement and then up-cycling it with some polishing can give lovely results. Paint a wall: When painting our entire home, it gets tough to concentrate on specific areas and sometimes you may not be completely satisfied with the end result. It’s easy to remedy it using tools like the Black & Decker Rapid Roller that makes paint jobs so much less messy. You can give this task another twist by painting parts of your wall or cupboards in blackboard paint that gives you easy and reusable writing pads too.